Neil's practice is focused on general civil litigation with a concentration in toxic tort defense. He assists with the defense of clients at depositions, hearings, and all procedural matters. Prior to joining Heyl Royster, Neil worked with the Illinois Innocence Project and assisted public defenders in southern Illinois. He also has experience working for agencies of the Illinois state government, the United States Congress, and the United States Department of State. Neil is a native of southern Illinois and he graduated from the Southern Illinois University School of Law where he was an editor for the Law Journal and published an article on the Dodd-Frank Act's whistleblower provisions. He also served as a Taylor Mattis Fellow in the school's Academic Success Program helping new students transition into legal education. 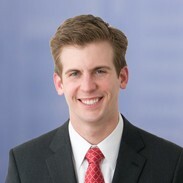 Named to the Illinois Super Lawyers Rising Stars list (2019). The Super Lawyers Rising Stars selection process is based on peer recognition and professional achievement. Only 2.5 percent of Illinois lawyers under the age of 40 or who have been practicing 10 years or less earn this designation.